M/s. Dynamic Fans Marketing Pvt. Ltd. This DC Blower really moves some air! Pulling about 1Amp @ 12VDC, this blower is rated at 16CFM (although it seems like more to us). We’ve used this blower to build small hovercrafts and to cool off on a hot day, they’re also handy for inflating “transforming e-textiles garments! 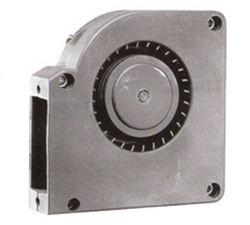 We manufacture, DC Motor with Blower and AC Motor for different Industrial applications. These are often applied where they momentarily deliver three or more times their rated torque. In emergency situations, DC motors can supply over five times rated torque without stalling (power supply permitting). In order to meet excellent quality standards, we are supplying DC Blower. AMETEK Technical and Industrial Products' Low Voltage Brushless DC Blowers offer variable output for a wide range of vacuum or pressure applications. Standard models are available in a wide range of input voltages. Our low voltage products provide output pressure up to 97.7" H2O and flows up to 160.3 CFM. We are a top notch supplier of DC Blower. 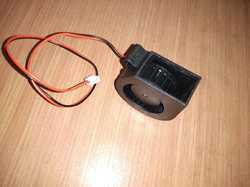 Our reputed entity is engaged in supplying DC Brushless Blower. In order to meet excellent quality standards, we are supplying DC Blowers.